About a year and a half ago, we brought home a German Shepherd pup. She was to be trained as my son’s SDiT, however, she bonded to me. I found my soulmate in Bayleigh Rose. And though she is trained to work for my son, when she’s “off duty” she’s all mine. So when I discovered this new book about humans their four-legged soul mates, I had to get a copy! 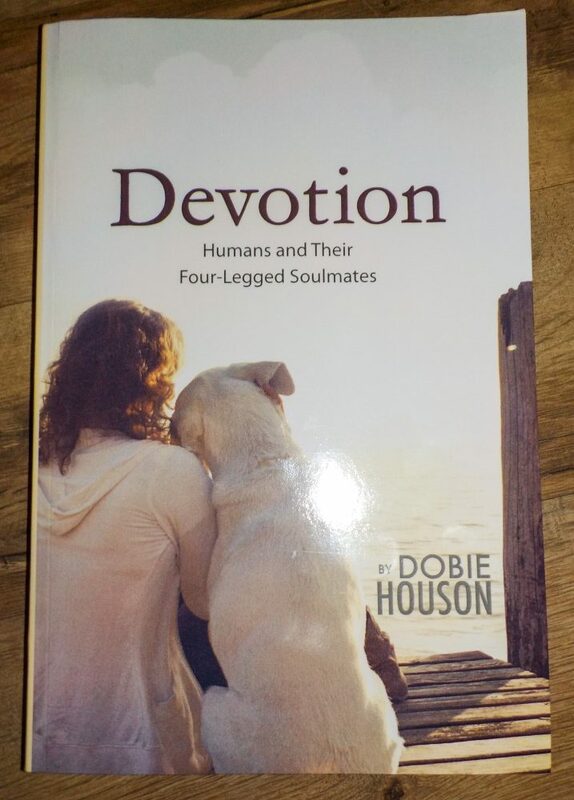 Devotion: Humans and Their Four-Legged Soulmates is a new book by Dobie Houson. As soon as I read the title I knew this book was for me. It’s a collection of touching short stories about the bond between humans and their fur friends, written by an animal communicator. Stories of love, courage, and the unbreakable bond that comes when your soul blends with that of your furry best friend. If you have ever gazed into your fur baby’s eyes, and wondered what they were thinking, then this book is for you. I have always loved animals. I’ve had a lot of pets throughout my life, but I’ve only ever found my soul mate in two. The first was an Olde English Bulldogge named Max. He’s been across the rainbow bridge for many years, and left a little hole in my heart. Then Bayleigh came along. Our bond was almost instantaneous. She’s my shadow. My best friend. My helper. She’s my love bug, snuggle buddy, and my confidant. 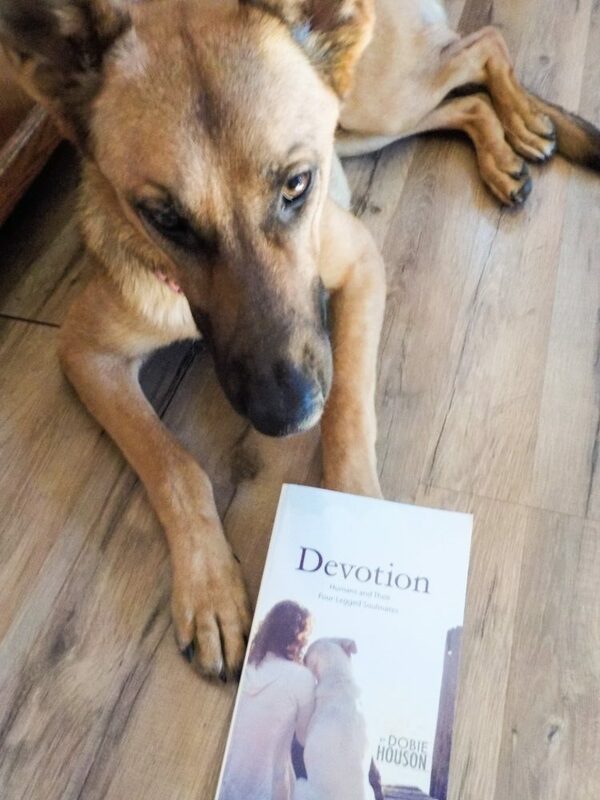 When you purchase Devotion, Dobie donates a portion of all proceeds to animal rescue. Dobie Houson is also the executive director of Finding Forever, a foundation which is dedicated to raising money for animal rescue and the arts. Dobie is an animal rights activist, an animal communicator, and an award winning author. She’s also an animal rescue activist. When not working with animals, Houson is the director of marketing research for the Ken Blanchard Companies. They specialize in leadership and talent development. To get your copy of Devotion, click here. If you’d like to learn more about Dobie, her work, and check out her other books, click here. Don’t forget to follow via Facebook and Twitter. I might well get a copy of that book, sounds similar to the one I just finished – The Endless Path by Laurie Duperier. The bond between people and animals goes deeper than most people think! Thank you for such a beautiful review!!! 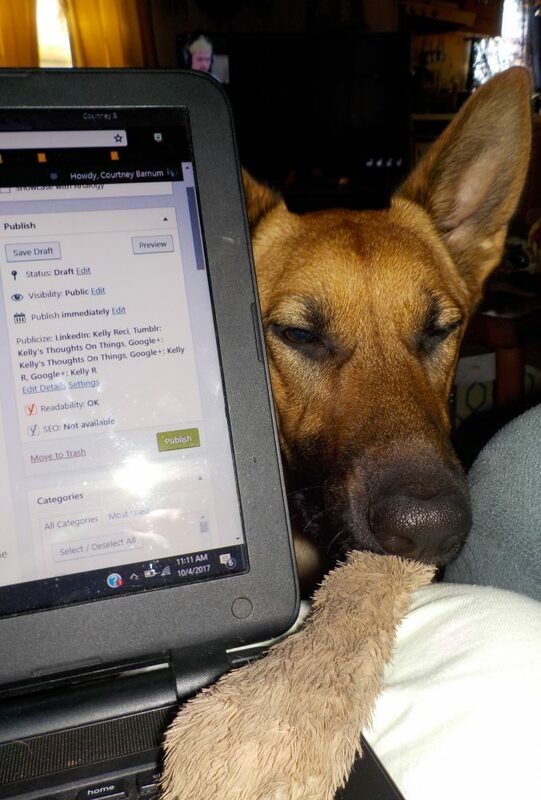 I love that your soulmate is a German Shepherd.They are one of my favorite breed and my first book was inspired by the four years I spent volunteering with a German Shepherd Rescue organization. Sending you love and healing for you and your son’s health challenges. Blessings! Warmly, Dobie.